O_o Eeww! The stench of fish is actually attacking him! I imagine that stench will protect him from a LOT of things. 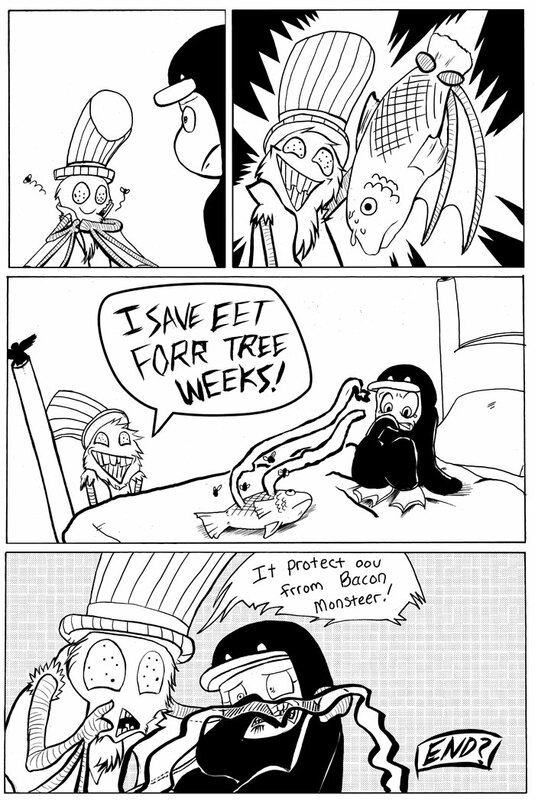 Heh, I needs a fish to protect me from bacon monster! I feel so vulnerable!